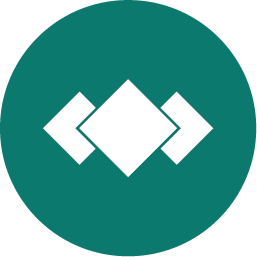 This guide is for people who want to author service tiles for Pivotal Cloud Foundry (PCF) using the on-demand services SDK, part of the Pivotal Cloud Foundry Services SDK. PCF operators make software services such as databases available to developers by using the Ops Manager Installation Dashboard to install service tiles. On-demand services let you provision instances in a flexible way. The operator does not pre-allocate a block of VMs for the instance pool, and they can specify an allowable range rather than fixed settings for instance resource levels. When a developer creates an on-demand service instance, they then provision it at creation time. The on-demand services SDK provides a generic, on-demand broker (ODB). This simplifies broker and tile authoring, and is the standard approach for both Pivotal internal services teams and Pivotal partner independent software vendors (ISVs) to develop on-demand services for PCF. For more information about service brokers and how the on-demand broker works within PCF, see About On-Demand Brokers. The following table provides version and version-support information about the on-demand services SDK. Operators can scale resource consumption in line with need, without having to plan for pre-provisioning. App developers get more control over resources and do not have to acquire them through the operator. ODB reduces the amount of code service developers have to write by abstracting away functionality common to most single-tenant on-demand service brokers. ODB uses BOSH to deploy service instances, so anything that is BOSH-deployable can integrate with Cloud Foundry’s services Marketplace. Globally-defined resources (Cloud Config). This results in manifests that are portable across BOSH Cloud Provider Interfaces (CPIs) and are substantially smaller than old-style manifests. Links between deployed BOSH instances consuming information from other instances, for example, IP addresses. For information about minimum versions of Cloud Foundry and BOSH, see Software Requirements.